Wouldn’t you like all of your tech gear to fit into a cool, organized pouch? Instead of having cables running wild and disk-on-keys on the loose, you can now house them all in a designer bag called the Tech Dopp Kit. 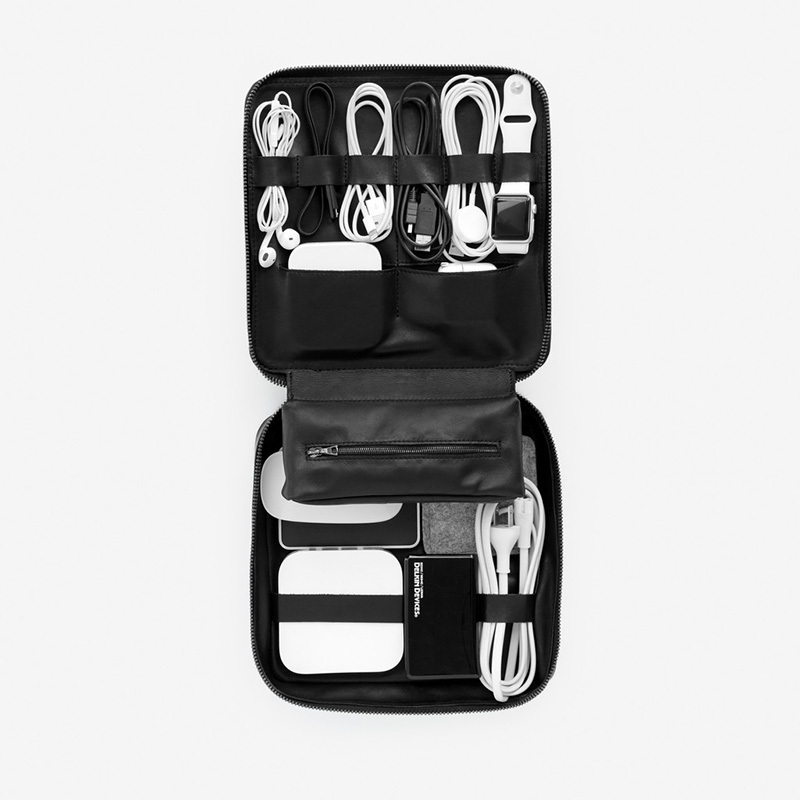 The Kit has designated spaces for rolled-up cables, pockets for a mouse and an external disk drive, room for headphones and a central zipped pocket for small items such as batteries or memory cards. 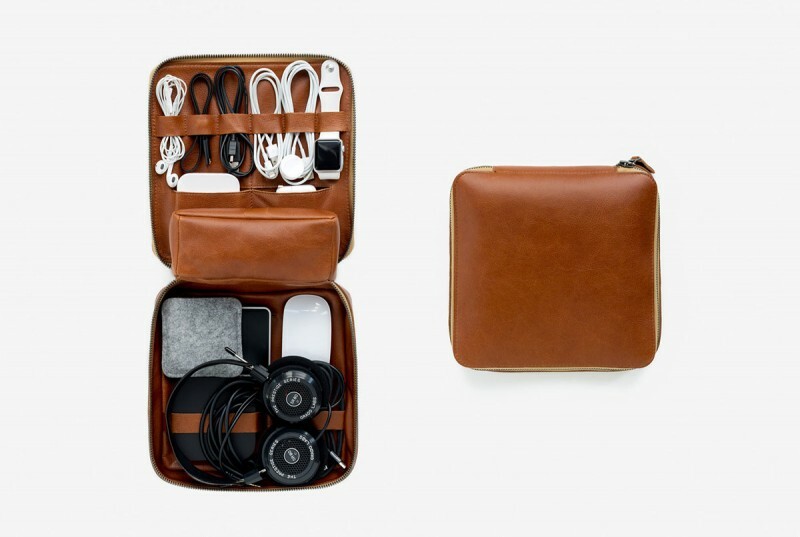 Best of all, the design of the Tech Dopp Kit is simply stunning. Made from genuine leather, it has a 20th century travel bag look that is elegant and sophisticated. The Tech Dopp Kit was created by This is Ground , an LA-based designer company specializing in high end leather products. The Kit has a zipper all the way around its exterior for secure closure, and within, all of the compartments and pockets are finely stitched. It’s available in two sizes- Grande – 9″ x 9″ x 2.25″ and Regular – 9″ x 5.5″ x 2.25″. You can also choose from three outstanding leather tone finishes – whiskey, French grey and charcoal.